When describing a space that intertwines both minimalism and elegance, the name Joseph Dirand immediately comes to mind. 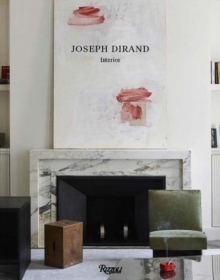 The son of Jacques Dirand, one of the most renowned interior photographers of his time, Joseph Dirand is now one of the most sought-after architects. By incorporating a quintessentially French style into otherwise minimalist interiors, Dirand creates instantly recognisable spaces, known for their strong lines and meticulous precision. This book focuses primarily on Dirand s residential interior design work in Paris and New York, while also featuring some of his acclaimed designs for the interiors of hotels, restaurants, and fashion houses worldwide. Lavishly illustrated with photography that captures the timelessness of his style, which touts impeccable proportions and breathtaking attention to detail, Joseph Dirand: Spaces/Interiors is a feast for the eyes and essential for anyone with an interest in interior design.